Update on Sept. 29 at 1:00 p.m.
ATHENS, Ga– Athens Police have identified a suspect in Saturday’s hit and run accident. 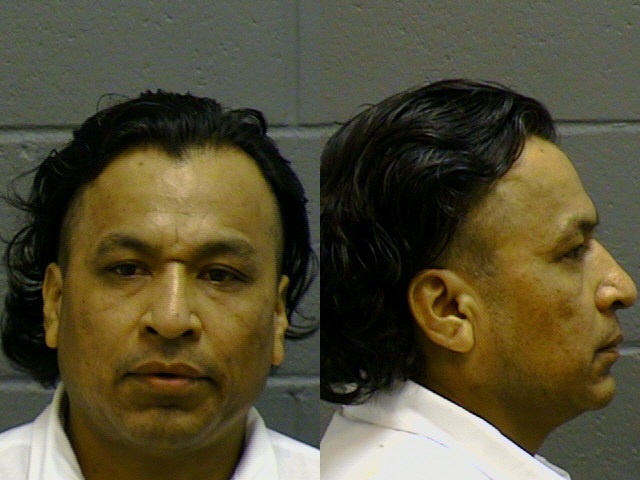 Manuel Perez is wanted for Homicide by Motor Vehicle, Hit and Run and Driving with No License. Arrest warrants have been secured for his arrest. Please contact the Athens Clarke County Police Traffic office with any information. Update on Sept. 28 at 11:30 a.m.
ATHENS, Ga. — Police say that two separate tips led them to a vehicle that they suspect hit and killed a person on the Inner Loop at the Commerce Rd. exit early Saturday morning. Lt. Don Eckert told Grady Newsource that the police have identified a suspect and arrest warrants are pending. He declined to name the suspect. Eckert also said that one of the tips came from someone who saw the car on the morning of the suspected incident; he said the other tip came from someone who saw the damaged car in recent days. The Athens-Clarke County Magistrate Court, which deals with arrest warrants, said a warrant has not yet been filed. Original article on Sept. 26 at 12:30 p.m.
ATHENS, Ga. — Police are searching for a driver who they say hit and killed a person who was walking on an overpass just before 2:00 a.m. Saturday morning. Charles Sokol, 22, was hit and later died on the Inner Loop overpass at Dr. Martin Luther King Jr Pkwy. and Commerce Rd., police say. According to an accident report, the vehicle that hit him drove east and may have exited the loop at Danielsville Rd. Police also say the car may have damage to the front windshield and hood as well as a broken side mirror. There is a $1000 Crime Stoppers reward for any information that helps police find the vehicle and driver. The police department asked anyone with information to contact Lt. Don Eckert at (706) 208-1718 ex. 223 or Sgt. Jon McIlvaine at (706) 705-4775 ex. 224. Grady Newsource will continue to update this story here and on our Twitter account @GradyNewsource.